Some rooms are cozy…some are minimally sparse…some evoke peace, some exude class…others just make you want to get down to business. This week’s space would inspire me to get all old school and break out the typewriter (yes, typewriter), light the ol’ pipe, throw a few ice cubes in the tumbler, and get to work. It’s a slightly cramped, lived in space, but it’s that worn ambiance that gives it a dose of true character. This room has seen and heard many stories; this room has life. 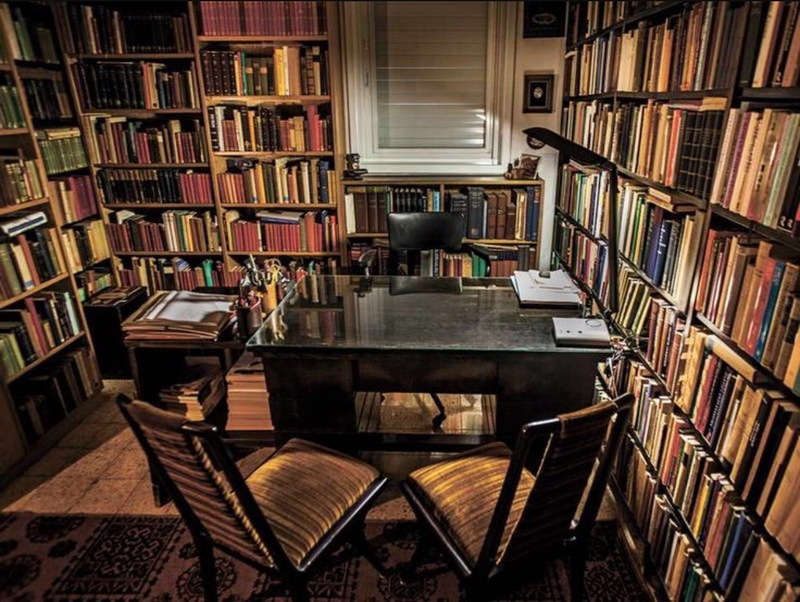 It’s certainly a book lover’s room. Let the daydreams commence. You’re right, this one can be easily attained compared to most of the far fetched, daydreamy rooms that I post. I like your idea of adding some arm chairs…give it a lounge feel. “that worn ambiance that gives it a dose of true character.” — agreed!